As Phoenix, Arizona residents, we know too well that getting into the car in the summer can be brutal. It almost feels like you have entered an oven and it seems to take forever for it to cool down to a comfortable temperature. The good news is there are some simple things that you can do to help keep your vehicle cooler in the summer. From tinted windows to getting the best out of your air conditioning, these tips will help make driving in the summer a bit more tolerable. Crack the windows. Closed windows trap hot air in the vehicle, leaving the windows cracked slightly will allow for some airflow. com states that if you have a sunroof you can crack that or use the vent feature if weather permits. Crack the windows and sunroof open slightly -less than an inch- to avoid a potential break in. Park in the shade. According to Consumer Reports, you should look for a shady spot to park in, or park in a way so that the sun hits the rear window instead of the windshield to help keep the steering wheel and front seats a bit cooler. Use a sunshade. Sunshades are a great and affordable investment for Phoenix residents. They help block the rays coming into your vehicle, keeping the temperature slightly lower. This can help your vehicle cool down faster once the car has started and helps to keep the steering wheel cooler to the touch. Get your windows tinted. This is more expensive than a sunshade, but it is also a more constant way to block out the sun. Living in Phoenix, you may want to consider purchasing a vehicle that has cloth seats instead of leather; as scorching hot seats can cause discomfort and possibly even burn you. Some vehicles even come with air-conditioned seats that circulate cool air around your back, if you can afford this added luxury we highly recommend it! These seats have a sort of mesh on the car seat that allows air to flow through it. There are fans in the seat that produce air circulation. If you must have leather seats, Cars.com suggests you purchase cooling gel seat covers or pads. Even something as simple as placing a towel over leather seats can provide some relief. 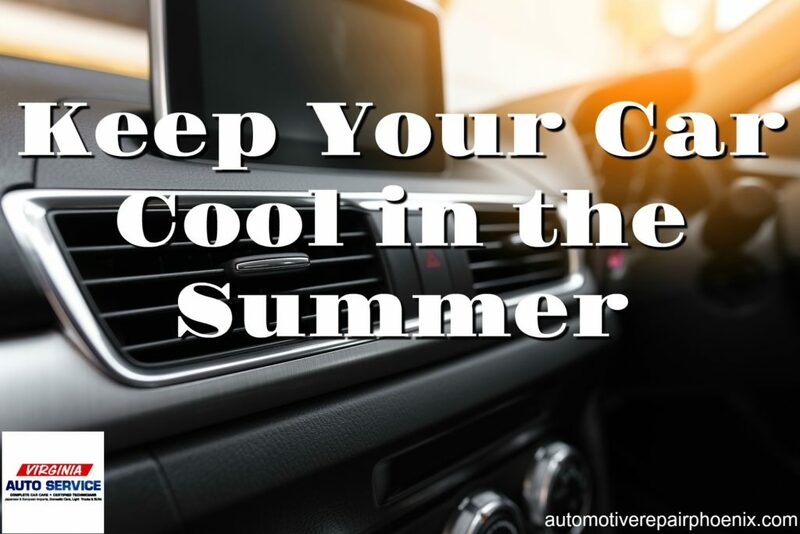 If you aren’t using the air conditioning efficiently or if it isn’t functioning properly, it will probably take longer than you would like for your vehicle to cool to a comfortable temperature. As soon as you start the engine, open all the windows slightly and turn the air on full blast. Leave the windows open slightly until the air inside begins to feel cool. Remember, hot air rises, so doing this pushes the hot air out of the windows as cool air comes out of the vents. After the interior is at a comfortable temperature, use the recirculating feature along with the A/C to maintain the coldest air. You may not be able to control the weather, but you can prepare your vehicle for the hot, hot summer. We hope these tips help you stay cool and comfortable! If you need help keeping your vehicle cool, Virginia Auto Service is here for you. 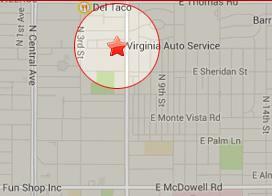 We are your go-to in Phoenix, AZ for reliable, high-quality auto repair services. Call (602) 266-0200 or schedule an appointment online. 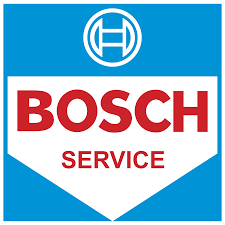 Does Your Car’s AC Need Serviced?